I’m playing a Pit Woman in Cary Clarke’s Coal. This is a dance production but is more than an hour and a half of contemporary dance, it is ‘physical language’ which is allows the audience (and cast) to re immerse in the mining strike of 1984/1985. The Tredegar Brass band will join us on stage. They played in the film Pride about the gay activists who fought side-by-side with the mining communities during the strike. Dai Donovan, the miner from Dulais who embraced this help from the LGBT community will talk after tonight’s performance at Blackwood Miner’s Institute. This post-show talk will include Ron Stoat, Welsh miner and union official, who can be heard talking about his involvement with the strike in the film Still the Enemy Within. In the UK Coal tour, the team invites 4 local women to become pit wives. I’m shocked to find myself in a dance production. While I like dancing (we have kitchen disco with the kids! ), I’m not a proper dancer and although I like a challenge, it’s been hard work both physically and emotionally. I’m not only connected to the mining industry for generations, but also the Miners Institute itself; my uncles and grandfathers paid into it, and used it, my parents met there, it was where I first read my poems on a stage in the bar and had my play Sound Zero performed (Eiry Thomas read my protagonist). There have been lots of tears in rehearsals; it’s a hugely emotional piece. Looking forward to sharing this journey with the audience tonight. A spoken word and Jazz collaboration with the Gareth Roberts Quintet. This hybrid work explores how spoken word, music and silence intersect, allowing both performers and audience to be immersed in what has washed up from the Levee Disaster during Hurricane Katrina, reflecting on culture, people and place, loss and healing. The event included a solo poetry set and original Jazz performed by the award-winning quintet. Gelynion was an exploration of contemporary Welsh poetry through the potential of collaboration. A remarkable success, bringing together sold out audiences across the nation of Wales, Gelynion created a swell of enthusiasm and energy across contemporary Welsh poetry, bringing together over 50 poets from the often overlooked Welsh avant-garde, placing that work firmly beside more literary poetry and the Cynghanedd tradition. Gelynion aimed to bring together communities of writers that might not otherwise collaborate, from all four corners of the country & beyond, and did so. 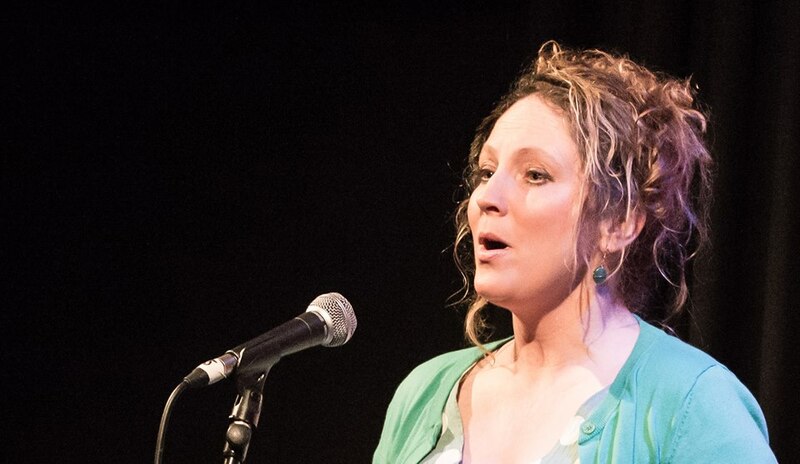 Generously supported by the Arts Council of Wales & Poetry Wales, Gelynion also produced these original collaborations in both of Wales’ languages.